Everyone was listening intently to hear all the new activities happening at our Provincial and Federal Government levels. 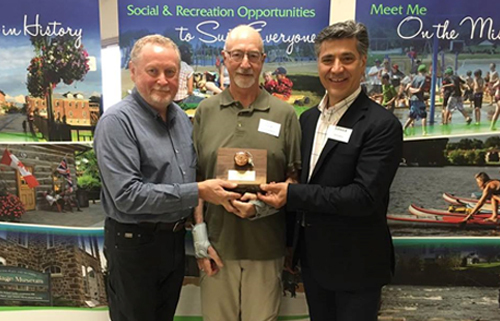 Alan Medcalf was awarded the Community Builder Award for 2017 for his years of hard work and advocacy for cycling in Brockville and beyond. 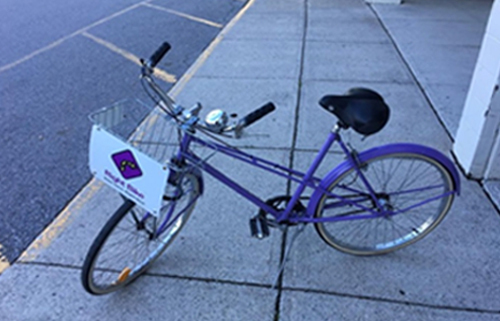 The Mayor’s Slow Bike Race was held at lunch and Carleton Place’s new Lavender bikes were being used for the ride. 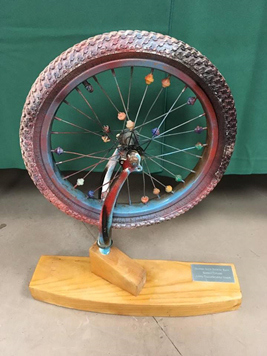 The beautiful bike tire award was well earned. 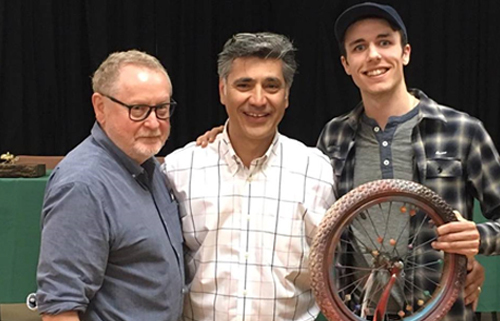 Adam Tilley showed unbeatable skill at the slow bike race and clearly won the race beating out last year’s winner Carleton Place Mayor Louis Antonakos. 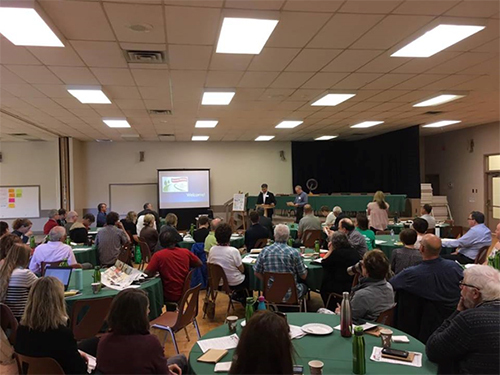 The Town of Brockville was introduced as the next host of the Eastern Ontario Active Transportation Summit for spring 2018. 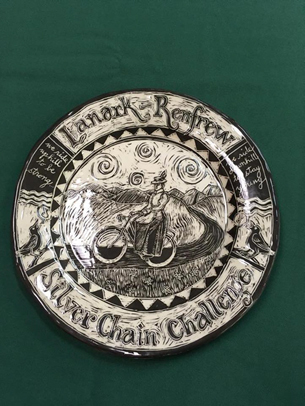 Alan Medcalf and Jennifer Labelle were there to accept the bell. 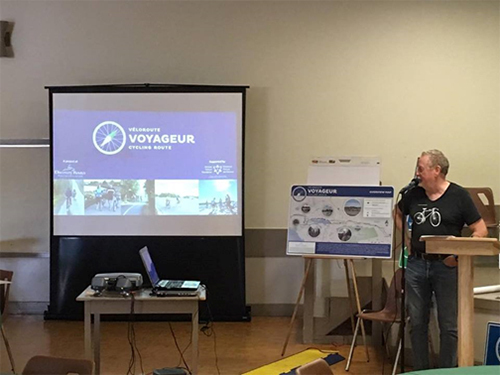 Getting to work on June 1st to put our ideas into action: on our Bicycle Friendly Community Designations and the Voyageur cycling route. Thanks to everyone who participated in this event. It was a great day of networking and learning for all. Looking forward to seeing the outcomes as everyone goes back to work with their new knowledge and connections. 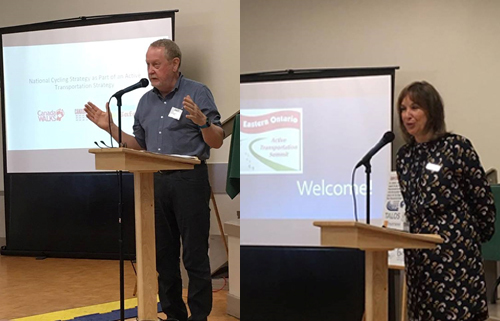 Stay tuned through the Eastern Ontario Active Transportation Network.